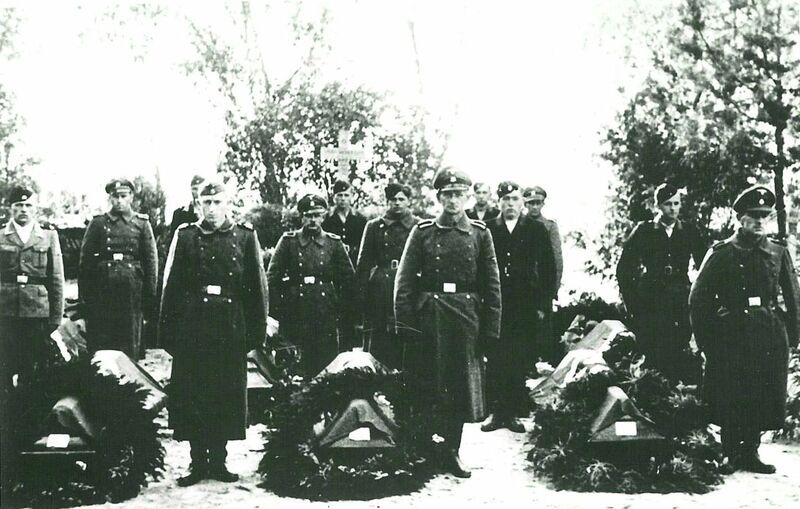 Of the approximately 29 SS who were part of the camp staff in the autumn of 1943, twelve were absent on the day of the mass escape on 14 October, like camp commander Franz Reichleitner and the notorious SS-men Gustav Wagner en Hubert Gomerski. A similar number were killed by the insurgents. About 150 prisoners remained in the camp after the escape; by order of the Germans the Ukrainian guards shot and killed them. Shortly after the uprising Himmler ordered that the camp be razed to the ground and any trace wiped away. The stored ammunition was removed and a group of prisoners from Treblinka were put to work to ensure that all reminders of the existence of the camp were obliterated. According to the latest estimates approximately 170,000 Jews were killed in death camp Sobibor in the eighteen months it existed; more than 33,000 were from the Netherlands.